The Saiga Antelope is a... shall we say "memorable" creature from the Great Steppes of Eurasia. They aren't true antelopes, though they're related to them and to goats. 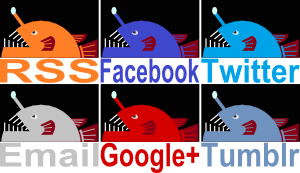 They also appear to harbour elephantine ambitions. That nose is ridiculous! It's long, flexible and inflatable, and quite a counterpoint to the male's long, somewhat translucent horns. Add those large eyes poking out of thick, bony eyebrows and you really have quite a sight! And if you go to their natural habitat you could probably see them from a very long way off, too. The Eurasian Steppe is like an enormous road linking Europe to China. It starts in Ukraine and passes through Kazakhstan, Russia and Mongolia before ending in Manchuria, east China. It's a road made of grasslands and shrublands rather than tarmac and concrete, which is probably kinder on the feet and is certainly easier than the mountains and forests that surround the Steppe. From the Silk Road to modern, transcontinental railroads, the Steppes have long been important for trade. Archaeological and genetic evidence indicates that the horse was first domesticated in the western Steppe. The Steppes have also played host to many empires and nomadic confederacies, from the Scythians and Cumans to the warriors and horse-archers of Attila the Hun and Genghis Khan. And there among the yurts and nomads, the Khanates and Khaganates, the falconry and throat singing,..
is a great, big lolloping nose. 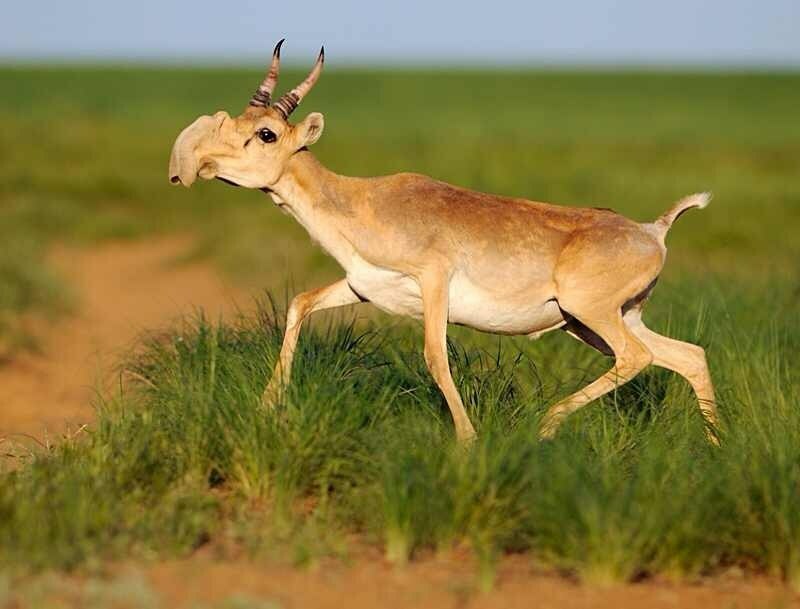 The Saiga is just as nomadic as the people of the Steppe. They spend the warm, summer months in small groups, feeding on a wide variety of grasses and other plants in the north. When the temperature starts to drop, they gather in large herds of several thousand and travel south for the winter. Their winter grounds may be over 1,000 km (600 miles) away and they can walk some 100 km (70 miles) per day. Winter on the Steppe is cold, with snow and ice and all the usual cold stuff. The Saigas develop a thick, winter coat to keep warm. 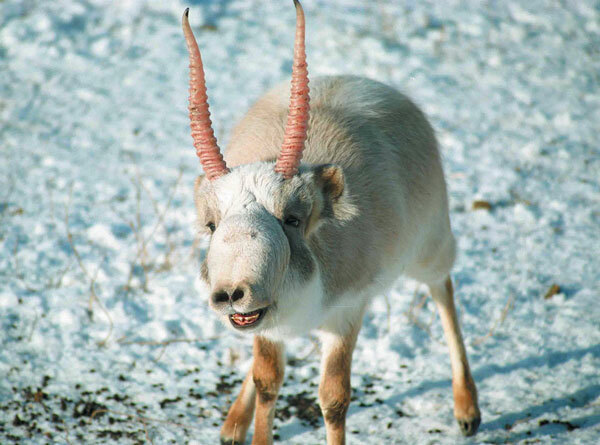 With all this migrating in the snow, the Saiga is a bit like the Reindeer and Caribou of Siberia and Canada. Rudolph the red-nosed Saiga must look extraordinary! 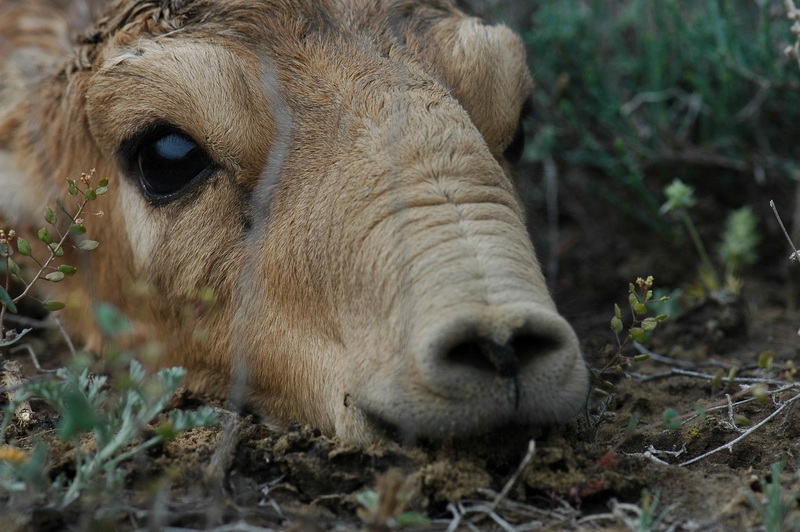 Speaking of which, our migrating Saigas have already used their overhanging proboscis to great effect. One use is to filter out dust from the air they breath. Part of the reason why there have always been so many nomadic tribes on the Steppe is that the soil makes for extremely poor farming. It's just so dry and dusty, even semi-desert in some areas. The Saigas kick up a lot of dust as they migrate so it's good to have a big, flabby nose to clean up the air for them. Once it gets cold the nose takes on a new role. It warms up air before the Saiga draws it into the lungs. I guess the alternative is a kind of constant brainfreeze. Males certainly don't want brainfreeze at this time of year because they have a lot of work to do. The rutting season begins in late November while they're in the wintering grounds. They don't eat much now, but their nose does swell up extra big so I guess you win some, you lose some. Males try to gather up a group of some 5 to 50 females which they must defend from other males. They clash horns in the snow in a test of strength and endurance. Up to 97% of them die of sheer exhaustion from all that fighting in the cold on an empty stomach. I'm not sure if Genghis Khan would approve or if he'd tell them to band together and direct all that energy and brutality at everyone else in the world rather than each other. Any males that survive their ordeal begin to migrate north at the end of April. Looking forward to next year. I guess. The females meanwhile give birth to one or two young. They all do it within one week of each other, so this is serious baby shower season. Presumably they don't all hold parties and visit each other or they'd probably all die of exhaustion, too. The youngsters hide in vegetation for only a week or two before they and their mothers begin the long trek back up to the summer pastures. The big herds soon break up into small groups until an autumnal chill inspires them to gather once more. Saigas are real wanderers who will happily travel for miles every day even when they're not on their official migration. During the Pleistocene epoch over 12,000 years ago, when Attila the Hun was a mere twinkle in an overly-aggressive cave man's eye, the Saiga ranged from the British Isles all the way over to Canada. 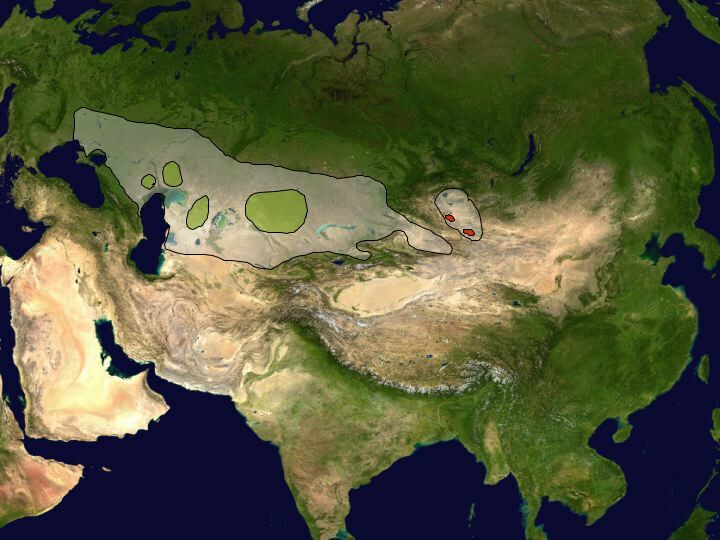 In more recent times their territory stretched from the Black Sea to Mongolia and China, and there were millions of them forming herds of a size no longer possible today. Their population crashed during the 1990's from over a million to an estimated 30,000 in 2003. 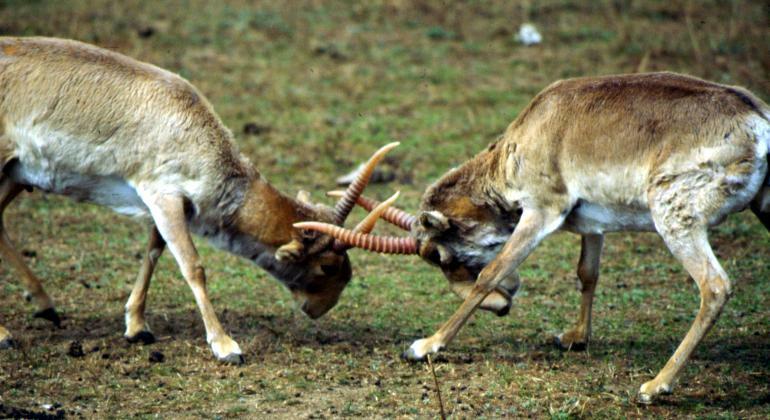 This incredible collapse came about after the demise of the USSR, when the Saiga was hunted for food and its horns sold on for use in traditional Chinese medicine. 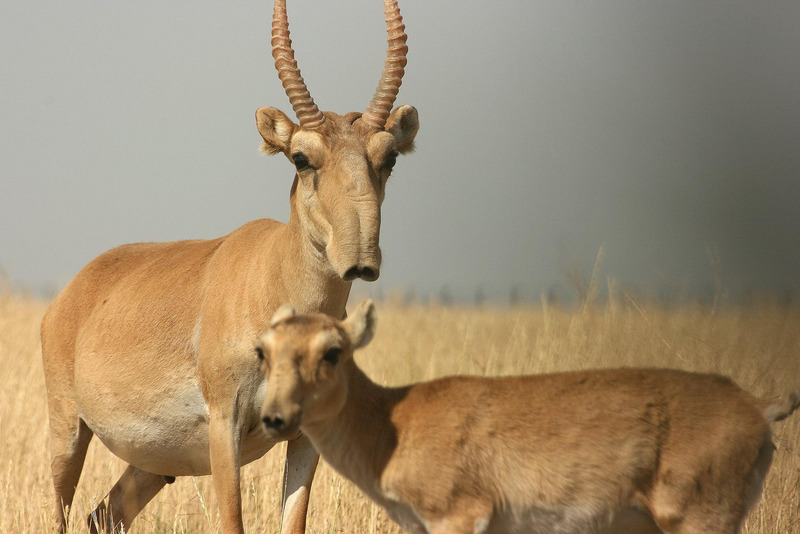 The Saiga is now completely extinct in China. There are two subspecies, one found only in two, small patches of western Mongolia, the other in Kazakhstan. 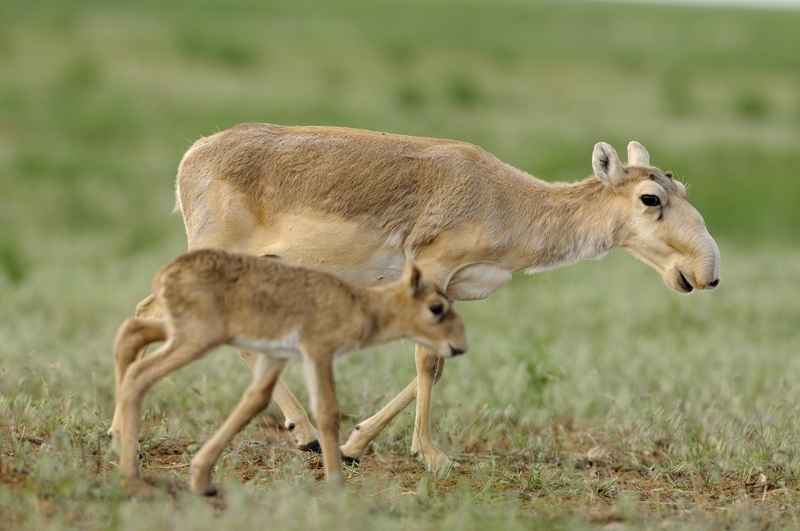 Efforts to save the Saiga are ongoing and their population is currently increasing. It seems unlikely that we'll ever see the millions of bouncing mini-trunks of the past, but after braving the sabre-toothed tigers of the Pleistocene it would be a terrible shame for we to be the ones to rid the world of that extraordinary nose. Who knew having such a big nose would be so useful! @TexWisGirl: Yes! But in a completely different habitat. Big noses seem to be quite the multi-purpose tool! @karim galal: I can imagine them in a strategy computer game where they vie to take over the universe against the insect people and the fish people and frog people. @Porakiya Draekojin: Yeah, Swiss army knife schnoz! Bizarrely its horns were used as medicine only after conservationists suggested substituting them for rhino horn to stop rhino poaching. Really? That's very strange. I don't think the conservationists intended to give medical advice! It was mentioned in a Nature article on saiga conservation.